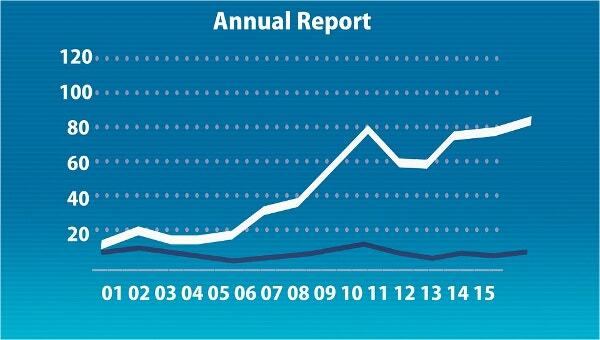 How to Create a Nonprofit Annual Report? A nonprofit annual report is a document showing the organizations mission and the impact of the aid from donors, volunteers and supporters all through out the year. A formal report sample of this report shows how organizations create presentations of the fulfillment of the objectives and goals and the vision of which they had foreseen. A nonprofit report format differs from the documents generated for business entities which are for profit reports. A way to thank the individuals and donors, a nonprofit annual report will help in convincing more individual donors, foundations and other various audiences in compelling them to reach out and donate to the organization. Array of Achievements – Indicate the accomplishment you have done with the activities you have implemented over the past year. This is a manifestation of your organization’s work abiding by the mission and the goals. There is a difference between telling how you did the activity and how the activity touched the lives of certain people. Living Testimonies – Supporters would want to hear actual life stories from the people you have helped with your organization’s works. Take images, videos, voice recordings, and testimonials of all the people you have reached out to and let their voices be heard. Financial Reports – Aside from the promotion side, the financial side must also be seen by the supporters and prospective donors. There is no standard format as to these reports unlike those presented on the report examples. Acknowledgement – This section shows your gratefulness in the support of your partners in achieving the mission, vision, and goals set by the organization for the past year. You can include pictures and videos of those who have been helped by your partners which is a way for them to express their thanks. Invitation to Readers – Close the report with call to action statement. Indicate how they can reach you if they want to volunteer or to send their donations. Inform the readers of the ways they can help the organization. Make it simple. Keeping the simplicity of the nonprofit annual report makes way for better comprehension and fewer misunderstandings. Be honest. Like any other report, such as the report samples in PDF format, a nonprofit annual report must be made with accuracy and honesty to attain the trust of the readers. Provide print copies. Nonprofit annual reports have evolved from paper to digital. But there are some organizations which cannot adapt easily to technology. Aside from the nonprofit annual report on your website, you can deliver print copies to various institutions and organizations. Address reader directly. This means you should write the nonprofit annual report on a first person basis. Nonprofit organizations may not be required to submit reports but relaying the information regarding the effective usage of donors’ funds compiled in a nonprofit annual report will ensure the supporters and volunteers that the work and the money they contributed has paid off.